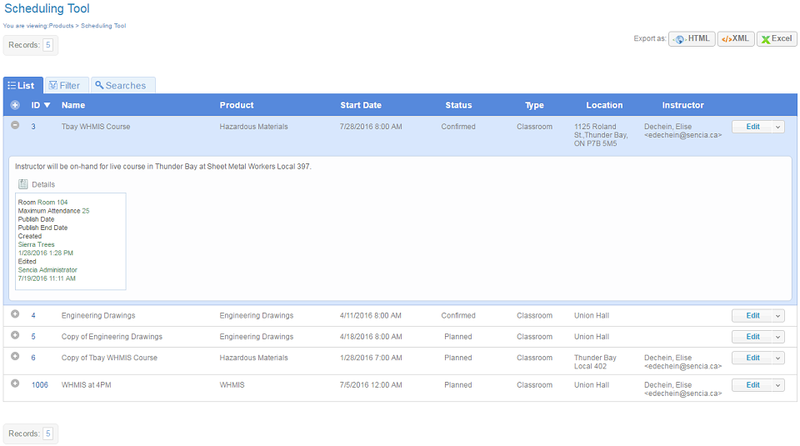 We are pleased to announce a new instructor led training feature in Informetica called the scheduling tool. The scheduling tool lets instructors and administrators easily offer in-person sessions such as: classroom courses, face-to-face instruction, and blended learning. Multiple sessions can be created from one product without making a copy of the product. To read more about the scheduling tool, please click here to view the user manual. If you wish to have this new functionality enabled, please enter a SRS ticket to request the Scheduling Tool.